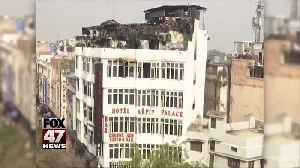 The owner of hotel Arpit Palace in Karol Bagh, where 17 people had died in a massive fire on Tuesday morning, was arrested by the Delhi Police crime branch on Sunday from Delhi airport, after he landed..
Rakesh Goel was arrested from the IGI Airport on Saturday. The minister made the statement after visiting the site of the tragedy in central Delhi. Mahendra Singh Dhoni’s three phones, which had gone missing from his room in the fire at ITC Welcome Hotel in Dwarka on Friday, have finally been located by the police. 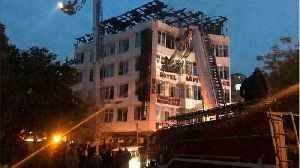 Fire officers said the phones..
Former India cricket captain Mahendra Singh Dhoni was this morning safely rescued from a fire in a hotel in Delhi's Dwarka neighbourhood. 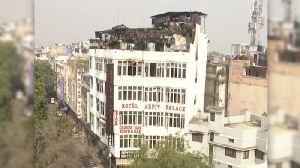 No casualties were reported in the fire, Delhi Fire Services..